Singapore’s ultimate take on the best of East and West pop culture is back! From comics, toys, games, manga, anime, cosplay and non-stop entertainment. 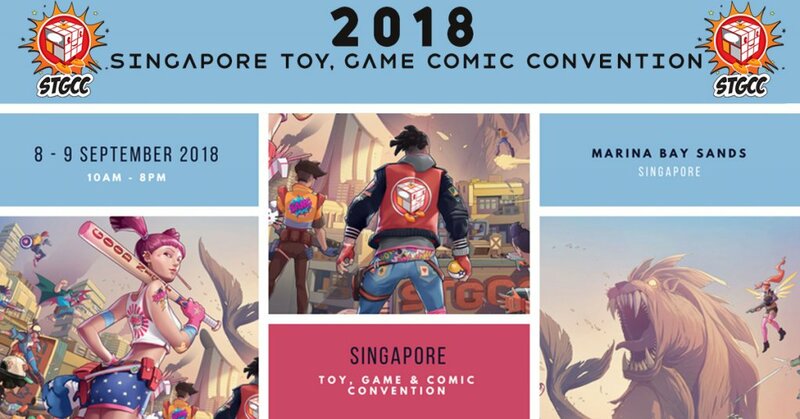 The countdown to Singapore Toy Game Comic Convention – STGCC 2018. A mix of East and Westen artists will be heading for STGCC. Expect a host of great OOAK art, vinyl, EXCLUSIVES and a number of vendors and exhibitors making you want to utilise STGCC passes. Expect to see local artists showing off their art as well as art toys at this years STGCC. Check out the exhibitor list HERE.